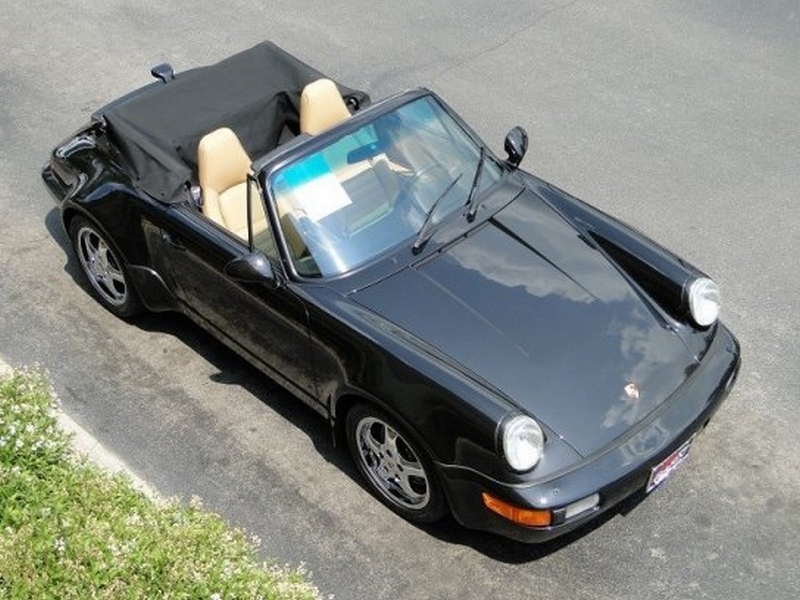 The America Roadster was promoted by Porsche for model year 1992 in the USA as "a jubilee model" for 40 years before introduced 356 "America Roadster" and was expressly addressed as a limited model. Indeed, without calling an exact number of pieces. The always spread number of 250 copies is probably covered to the MJ 1992, however, the model also remained in the MJ 1993 on offer and four vehicles with the 1994th chassis number (R-series) do exist as well. These are actual 326 pieces. Ex works is equipped of the "America Roadster" a little bit less excessively than his RoW counterpart. He was marketed in America not as a luxury cabriolet. 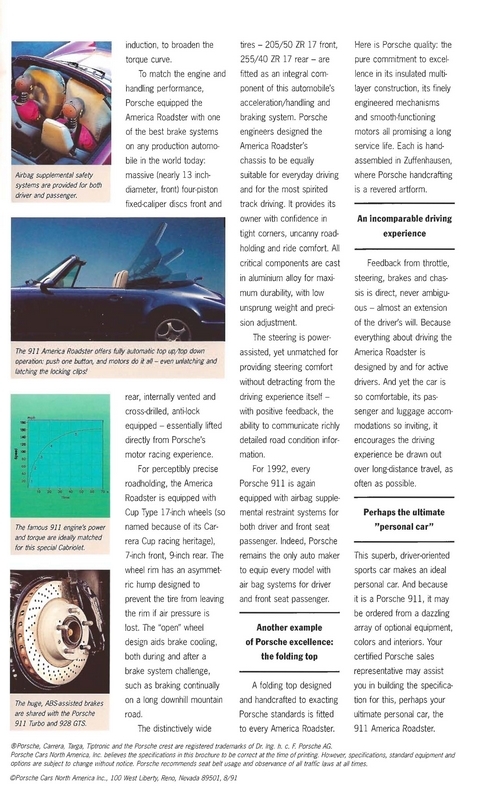 The Roadster does not differ technically from the Carrera 2 Cabriolet Turbo-Look for RoW (Rest of World). At the front one finds the black collision dampers usual for America beside the fog lamps, the side indicators lack in the front fenders, the rear bumper is provided with the middle piece with small sign cutting and in the frame above the tailgate the big third stop light is put on. The most remarkable difference is the missing back seat arrangement of the U. S. - Models, which to have to obstruct three-point belts on account of the duty also on the back seats with the filing known from the 89th Speedster with lockers was substituted. Difficultly is to be decided whether one should add the cars for Canada to the counts for the "America Roadster". 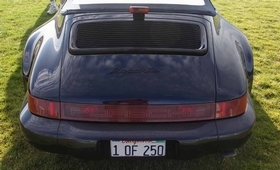 Like the RoW of car they carry either no type name or the "Carrera 2" stroke on the rear lid. 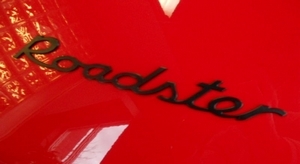 The America roadster, however, mostly the label "Roadster" (the sometimes in addition right "America" label probably comes from the RS America). 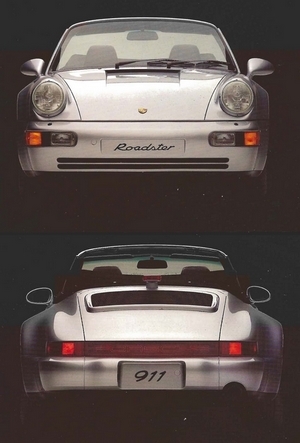 The roadster stroke never was an official spare part in Porsche. 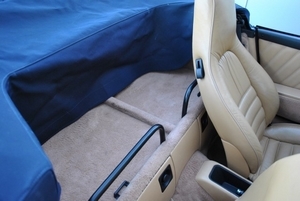 Also the rear seat arrangement was obstructed with the versions for Canada regularly. 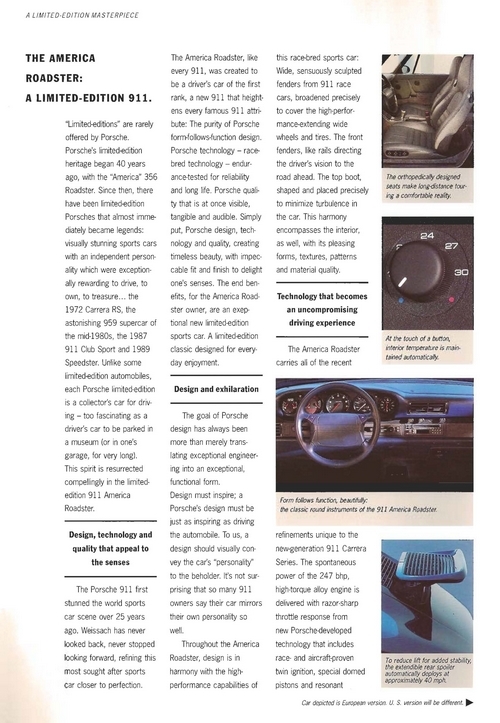 The Turbo-Look Register lists all cars with US-VIN as an "America Roadster" what of the simplification serves, but is not correct in our eyes rather!